The Northwood Network is a community network that rewards its members with discounts for supporting local business. Just show your free Network card to participating businesses to receive your rewards. Join now to get your card and start receiving your rewards. Scroll down to the bottom of the page to submit your application. If you own a business and would like to join the Network please fill out and submit the application below or contact us at network@northwood.com.au or call 9871 3888. Mark cleans and details the Northwood cars and we highly recommend him. He will come to you wherever you are and offers members 10% off on all his services except paint protection. Contact him on 0420 272 725 or check out his Precision Automotive Detailing Facebook page. Looking for a good men's hairdresser? Rob's been cutting our hair for over 20 years, we think he's the best. Check him out Tuesday to Saturday at Shop 3, Pennant Arcade (next to Fitness First), Pennant Hills 2120 or call him on 0401 438 720. He offers members 10% off on all his products and services. Leaking showers or balconies? Call Domenic, he did a fabulous job fixing a very badly leaking shower for us. It looks brand new now and he did not remove any tiles. He offers members 10% off on all his services. Contact him on 0450 14 14 14 or check out his website at waterleakking.com.au. "Where the world revolves around you". For the personal touch in holiday design have a chat to Voytek. He can help you with all your travel needs and offers members 5% off on international package holidays and international cruises. Contact him on 9875 1333, at 82 Yarrara Rd, Pennant Hills or visit his website at travelbydesign.com.au. Your local solicitor, notary and celebrant, Carol Flanagan offers members 10% off on legal work including conveyancing, wills and commercial matters and on her notary and celebrant services. Practical legal advice at a competitive cost in West Pennant Hills or the city. Contact her on 9240 6112 or 0413 705 262 and visit her website at therockspractice.com. New Northwood Network Listing coming soon. Moving to a new place? Let Myra-Ann help you make your move as painless as possible. Downsizing after years in the same place or just relocating, her personalised plans and moving survival tools are what you need. She offers members 10% off on all her services and products. Call 8625 1165 or 0414 911 947 and visit her website at resizingyourlife.com.au. Need to declutter and retrieve some space around the house, or downsize as the kids leave home? Moving to a retirement village or just want some spending money? Myra-Ann will help you give a great garage sale. She offers members 10% off on all her products and services. Call 8625 1165 or 0414 911 947 and visit her website at resizingyourlife.com.au. Beautiful creations in wood, all totally hand crafted with passion and precision by Errol. The timbers, the colours, the finish, the quality; all outstanding yet great value and he gives members 10% off. You really need to see his creations, especially the heirloom rocking horse! Call 8625 1165 or 0414 911 940 and visit his website at creationsbyej.com.au. More than just a handyman, Mark Nuttal's skilled and experienced hands are the solution to almost any building problem. Our neighbours, our friends, our customers and Northwood highly recommend him. Mark offers members 10% off, call him on 0400 964 621 and check out the large list of services on his website at sydneyhandymansolutions.com.au. Experience a luxury private Sydney Harbour cruise on the MV Salute. Mark and his team offer you first class service aboard this comfortable and beautifully presented motor yacht with a fantastic 20% off for members. Call 0400 964 621 and check out all the cruise and menu options on the website at privateharbourcruises.com.au. "The perfect place to find that perfect gift." Inspired by her time in Milan, Samantha's beautiful boutique is filled with gorgeous clothing, accessories, jewellery and homewares. Sam offers members 10% off on all full priced items purchased in-storeat shop 2, 1A Wongala Cres Beecroft. Call her on 9980 1237 and visit her website at cocolina.com.au. With access to over 20 finance lenders and over 30 years experience Paul Oliver and the team will find the loan that best suits your needs. Quick, easy and professional. Free risk assessment including life insurance and income protection review for members. 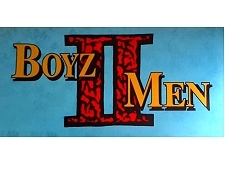 Call 9907 2257 and check out all their services on their website at menziesfinancial.com.au. For over 20 years Geoff Madafiglio has been our go-to expert for all our financial advice. We highly recommend him. He specialises in wealth creation, super and salary sacrifice advice, redundancy, estate and risk management planning. Geoff offers members 10% off on his professional fee. Contact him on 0413 159 856 or at geoff@richmondfinancial.com.au. Exquisite flowers beautifully arranged by Eva and her team. From small posies up to major corporate events Eva's work will take your breath away. She offers members 10% off all flowers and floral arrangements purchased in-store at shop 2, 2B Hannah St Beecroft. Call her on 9875 4000 and visit her website at lavieenrose.com.au. Looking for great Thai food with fast and friendly service? We did 12 years ago and this is still our favourite local Thai! Dine in, take away or home delivery at 289 Pennant Hills Rd Carlingford with 10% off for members on all orders over $50 except lunch time specials. Call them on 9871 5675 and see the menu on their website at atthaitonight.com.au. Fast, simple and affordable pest control for both residential and commercial areas. We found Masters to be professional, knowledgeable and very punctual. Robert and the team specialise in family and pet friendly solutions and offer members 10% off on their services. 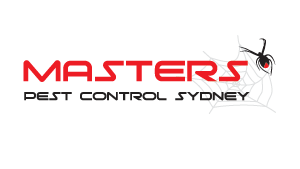 Give them a call on 8007 4666 and visit their website at masterspestcontrolsydney.com.au. Free to join, rewarding to use. Your information will not be shared with anyone outside of Northwood Estate Agents and we will not send you any real estate marketing material unless you specifically request it by ticking the box at the end of the application below. We will email you from time to time to update you with information on Network participants, new offers and also occasionally to publicise local community events. If you own a business and want to join the network please include a short note here and we will contact you. Thank you for joining the Northwood Network. You will receive you card shortly.